The moment we talk about milk, we think of it as a baby food, because this is the first food for mammals. But did you know that irrespective of your age, drinking a glass of milk can do wonder to your body? Milk is a highly nutritious and healthy beverage, which contains lots of essential nutrients and minerals which good for your immune system, skin, teeth, bones, muscles and overall health of your body. There are many benefits of drinking milk, especially if you drink a cup of lukewarm milk at bedtime. Drinking a glass of milk at bedtime reduces stress and helps you get sound sleep. Milk is a great source of essential nutrients like calcium and protein and probably the cheapest source of these essential vitamins. Drinking a glass of milk can help you prevent many diseases and they are essential for your body and overall health. 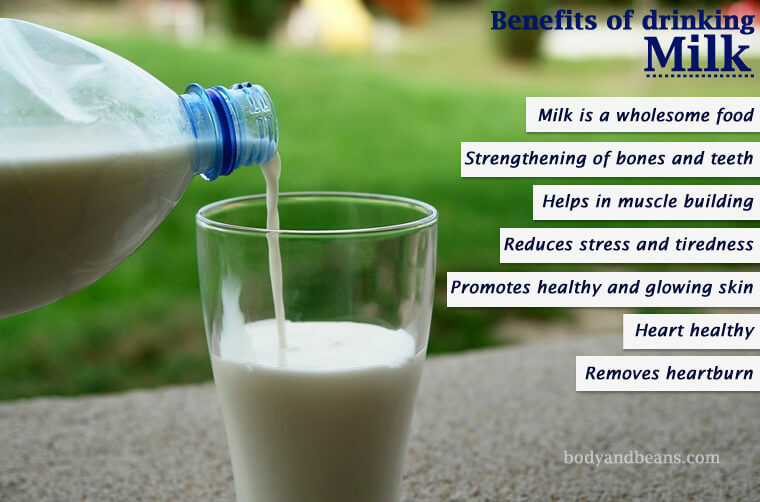 Today in this post, we are going to discover about the various health benefits of drinking milk. We’ll also talk about various types of milk and about the healthy and essential nutrients it contains. There are various types of milk available today. 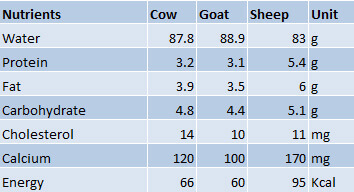 Milk from cow, buffalo, and goat and depending on the source; it may have different taste and nutrients. India is the largest producer of goat milk and buffalo milk in the world, and the second largest producer of cow milk after USA. Milk is primarily used for drinking as a healthy beverage and also used for preparing different types of dairy products like curd, cheese and butter. But in this post, we would like to focus on the surprising benefits of drinking milk and what it does to our body. Milk is rich in energy, vitamins, minerals and fibers. Milk is an essential part of the daily balanced diet. If you are in to physical exercising, or some moments of stress like during the exam time or any stressful job, then milk can help you to boost your energy levels instantly and you will feel more energetic. If you are starting the morning with the milk, or even ending the day with a glass of milk at night, you will get the benefits of this habit pretty soon. Milk contains a number of vitamins, minerals and nutrients and hence it is considered to be a wholesome food. A glass of milk contains protein, calcium, Vitamin A and B, carbohydrates, potassium, magnesium, and phosphorous. 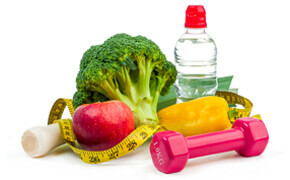 Protein is essential for overall development and repairing of body cells. Calcium is essential for bone matter, Vitamin A and B for eyes, Carbohydrates for vitality and calories to give you energy. Milk is extremely rich in calcium which is one of the essential nutrients for proper growth and strengthening of bones. Due to high content of calcium, it is advised that both children and aging adults drink milk. Milk is probably the best and cheapest source of calcium you could ever get, and hence it should be included in your diet. For the calcium to get absorbed in the body, you must have proper supply of Vitamin D. So if you have the deficiency of Vitamin D in your body, then you should take some Vitamin D supplement after consulting your doctor. Benefits of drinking milk are not only limited to bone development and strengthening, but it also prevents tooth decay. Ever wondered why athletes and wrestlers drink plenty of milk every day? Well because, drinking milk helps them build the muscles. Yes, milk can help you in building muscles and abs; hence this is a sure shot drink if you are planning to pump up the muscles and abs. Milk contains lots of protein and other vitamins and minerals like magnesium which is considered to be great for muscular functions. Milk helps in the production of melatonin and serotonin which are termed as the happy hormones. The hormones get mixed up in the blood, increasing levels of glucose, and thus lifting the mood instantly. During exam time or any such stressful time drinking milk is advised. Milk reduces stress and also promotes better sleep. In a cup of lukewarm milk, mix a pinch of turmeric powder and mix it properly. What is you get is a golden milk. Drinking a glass of this golden milk before bedtime can reduce stress level and feeling of tiredness and you will also get good quality, sound sleep. Milk contains all of the essential vitamins and nutrients which is good for your skin. Have seen the commercial of soap and shampoo that promise contains milk creams? The claim is that milk is the primary ingredient of such soaps, shampoos and creams. Washing your skin with milk certainly helps soften and moisturize your skin, but it does not sound like a practical solution. But even if you drink a glass of milk every day, it will help you get soft and healthy skin. It can remove the tan, dark heads, pigmentation and acne. You can make various types of face packs and masks using milk, but even if you drink a couple of glass every day, it will boost your skin health. Milk is rich in potassium which can help in reducing blood. Milk also helps in blood circulation in your arteries, lungs and heart and also normalizes the heart beat. So, if you are suffering from stress, then drinking milk is helpful, as it can calm you down. Heartburn is a very annoying feeling and only one yummy drink can remove the heartburn. The milk is a thick liquid, and the consistent texture coats a lining in your esophagus and stomach, and thus reduces the bad effects of heartburn. Milk is such a wonderful thing that you can drink it fresh, without even boiling. But ideally, the milk should be boiled and then consumed. You can mix different types of ingredients like sugar, honey, turmeric or other herbs like ashwagandha etc. You can add some health drink supplements in milk and then drink it. You can have double toned or skimmed milk if you are trying to lose weight. Add some honey in milk and you will like it even more. You can make some dishes with milk like “payesh” or “khir”. You can add milk in oats or cereals and have a healthy breakfast. If you cannot tolerate the typical smell of the milk, then skimmed milk is the best option. You can take the cream of the milk and apply it on the skin for a glowing skin. Either start your day with milk or you may drink it night for better sleep. How many glasses of milk can be consumed in a day? Well as you know, excess of anything is not good and so is the case with drinking milk. Some of us may have difficulties in digesting the milk, because it has lactose, which is naturally found in milk. Drinking a couple of glass should not be an issue, but you may like to drink milk with low fat content or the toned milk. If you feel bloating, in digestion, stomach upset, you may like to consult your physician for proper advice. Milk is a gorgeous white drink which has its own taste. Milk is often used in cooking and various other sweets, creams etc. Milk is good for your internal organs and also beauty. Milk is tasty, healthy and great source of Protein, vitamin, calcium and other essential minerals. And do much more to your body and overall health. How many glasses do you drink everyday? Best health benefit of milk is that it keeps your bone healthy, thanks for sharing.